The descent into the underworld of Orpheus and Eurícide. 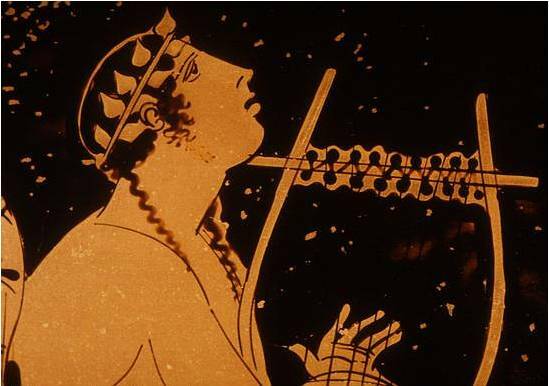 Orpheus and Eurícide : Who were? … According to the myth of Orpheus, this was the best singer, poet and musician of antiquity. His father was the god tracking from the rivers: Eagro, and ruler of Hemus (central region of the current Bulgaria), and his mother, who was his teacher, It was the muse of epic poetry Calliope. about Orfeo, the great Thracian singer, It has written extensively. Even supernatural qualities are attributed, Some ancient writers say they loved people and beasts with his music. His magical songs and loved his lyre birds and animals, forest folded its branches and rocks and mountains came alive to the rhythm of his music. According to others he could also purify people from the sins committed, cure disease and eliminate the curse. Orfeo even made shadow Apollo, the god of the Arts . One of the legends about Orpheus is his participation in the march of Jason and the Argonauts in search of the Golden Fleece. 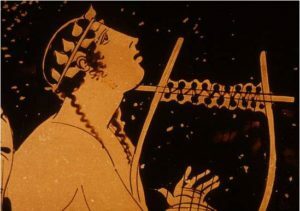 With his music the Argonauts rowers chanted as they rowed, and thanks to the music of Orpheus, Jason and the Argonauts escaped the spell of the sirens. Sirens tempt the Argonauts with his music, but Orfeo (in the middle), with his magical music, the mutes and saves. Orpheus was denied a return to the underworld and devastated by sadness retreated to the Rhodope Mountains, which he avoided the loving contact with any woman. 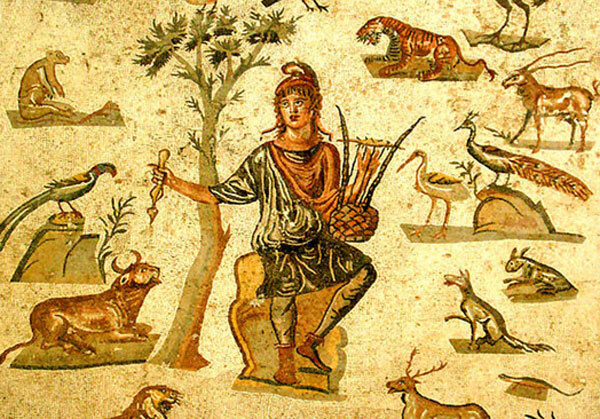 Orfeo death has multiple versions, the most widespread is that a Thracian followers of the god Dionysus (“Sabazios”) they found and being rejected by Orfeo these, furious, they stoned him and dismembered, throwing the body parts, along with its famous lyre, to the river “Evros” (Current Maritsa River in Bulgaria”). 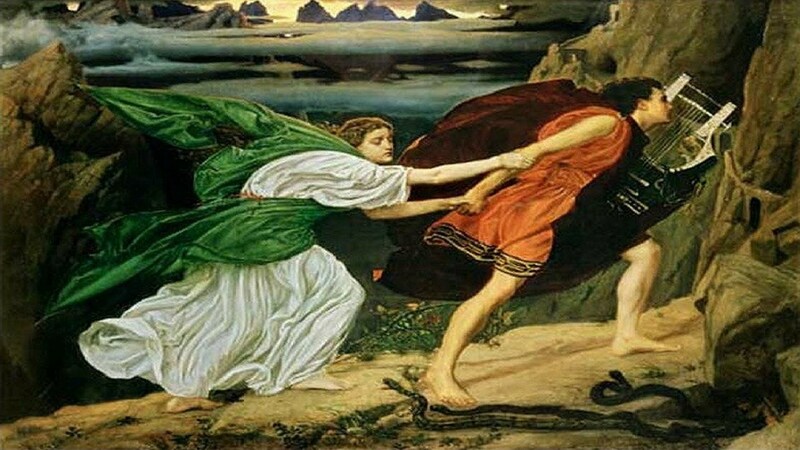 The similarity of the name of the Evros river Ebro from Bulgaria to Spain river is explained by the influence of Thracian culture in Celtic and turn it in the Iberian culture… Another version of the death of Orpheus that Orpheus was killed by lightning of Zeus, angry with Orfeo for revealing the secrets of the underworld. It is difficult to determine which of all these legends about the myth of Orpheus is closer to the true story, but it is events that have occurred over three thousand years ago and are counted by various relators of History, Greeks generally, giving an interested view of history, version of winners, which it is not always the closest to reality and is now repeated by economic and political interests to suggest to the world that Greece is exclusively the cradle of European culture, issue that we put in question… But one thing is for sure: Orfeo, the son of the Thracian god Oeagrus and muse Calliope, It was a remarkable person, otherwise he would not have left such a strong imprint. 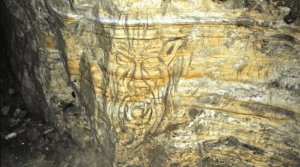 Legends say the descent into the underworld of Orpheus by the Cave of the Devil's Throat was made (Devil’s Throat Cave) which it lies in the Bulgarian Rhodope Mountains , a 18 km city Devin . 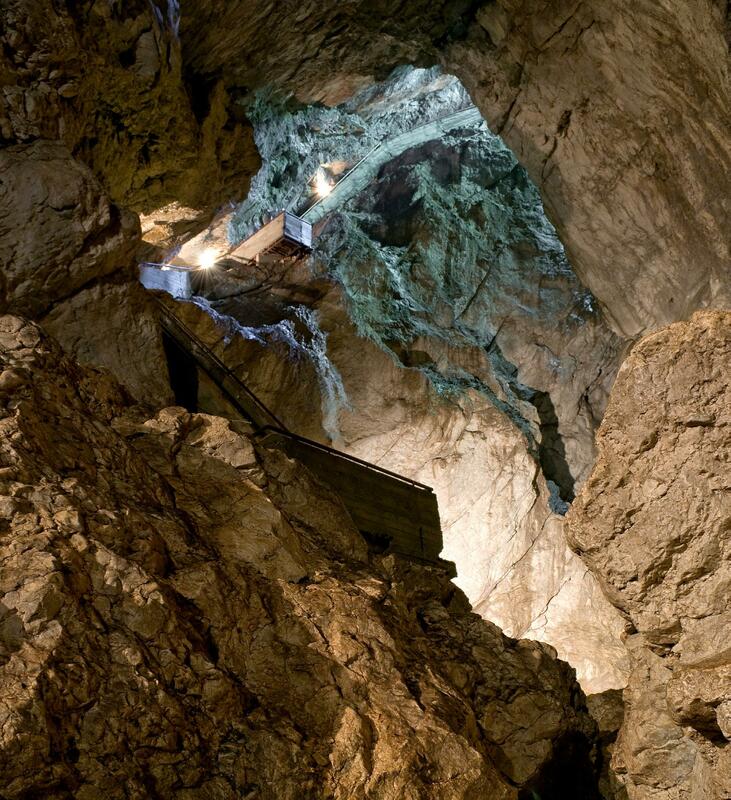 This cave fascinates visitors with unusual rock formations and groundwater resources. All travelers who visit enjoy an adventure in its depths, mysterious and impressive. 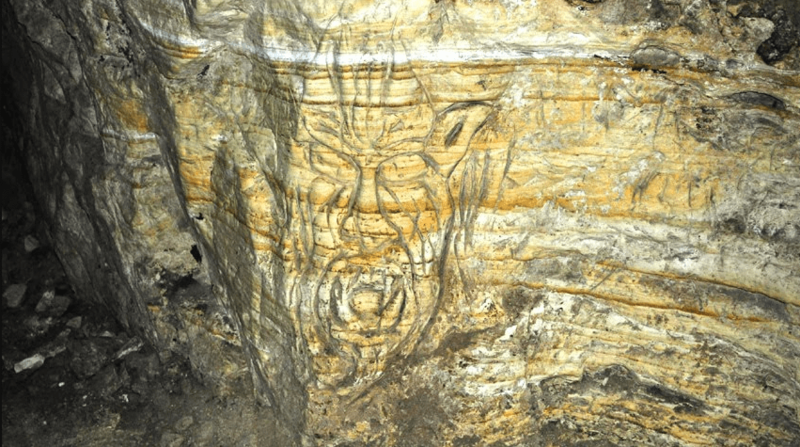 The cave entrance is a steep descent to which is accessed by a staircase 301 steps that resembles the Devil's Throat, for fear that infuses it down, hence its name. The cave descends down without turning anywhere. 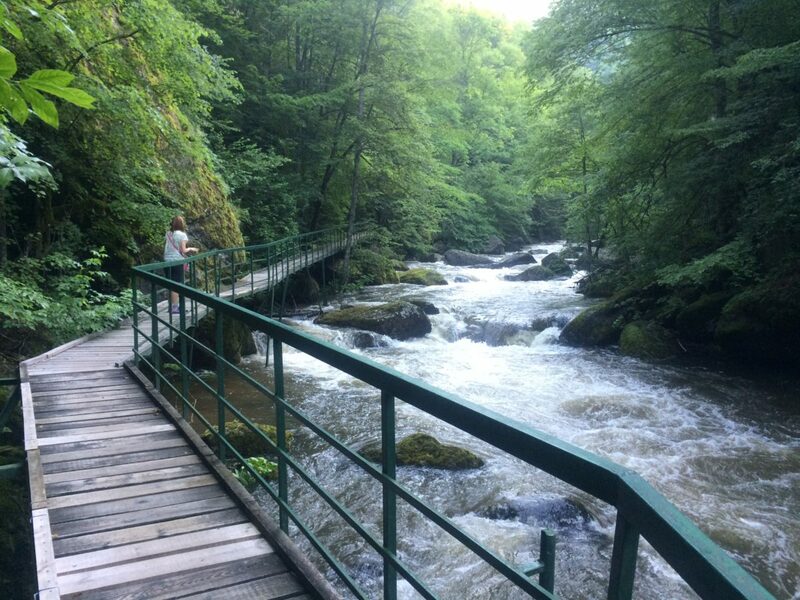 In addition Trigrad River water falls from a height 60 meters in the throat of the cave, forming the highest underground waterfall Balkan peninsula . Because the dulling of the waterfall of this cascade, the room on the edge of the waterfall is called the Hall of Thunder by its permanent rumble. A 400 meters from the entrance of the cave, the water disappears into a deep gallery siphons 150 meters and goes to another room of the cave with a length of about 60 meters. The underground river rises to the surface and continues through the mountains parallel to the access road to the cave. Cave Devil's Throat is open to visitors throughout the year, but the best time to visit is in spring and summer. From May to October the water level is very high inside the cave and only can be lowered with an organized group by boats along the river. Categories News on our blog. Congratulations on Article! On Orfeo you can say many things. If not anywhere else on the Internet can read an article in Castilian as objective and at the same time aprofundizado about Orfeo. The most important thing is that the Thracian era and that was against the practice of rituals with human or animal sacrifice, what we call non-blood and for us Bulgarians is very important to investigate whether Tatul was definitely one of its megalithic sanctuaries and what the Bulgarian mountain that was called in the past Panguei and is climbing every morning to watch the sunrise.